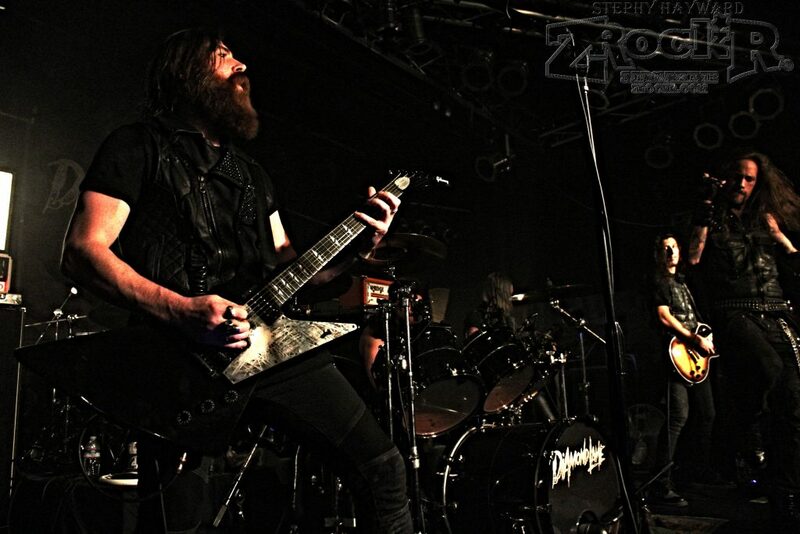 Home›Reviews›King Kobra - Celebrating Three Decades of Ready to Strike! 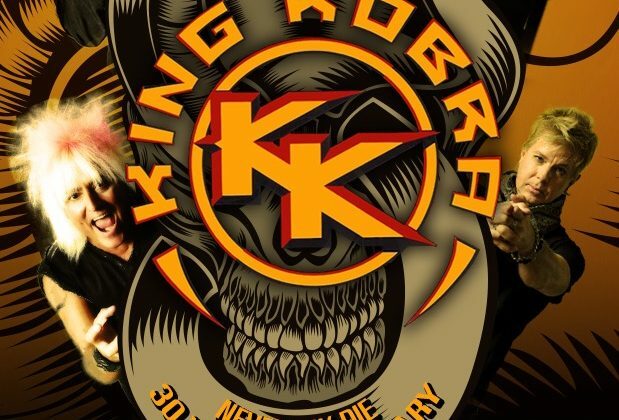 King Kobra - Celebrating Three Decades of Ready to Strike! Carmine Appice definitely ranks as one of the rock and roll world’s greatest and most influential drummers. In the mid 1980s, following a stint as a drummer in Ozzy Osbourne’s band , he put together a new band that was supposed to relaunch his popularity and bring him back to the spotlight – King Kobra. The group started off with great promise, but due to record company politics, never really got off the ground or achieved the mainstream success that they should have. The initial lineup of King Kobra that recorded their 1985 debut Ready to Strike and its follow-up, Thrill of a Lifetime, featured Appice with vocalist Mark Free, guitarists Mick Sweda and David Henzerling, and bassist Johnny Rod (later of WASP). 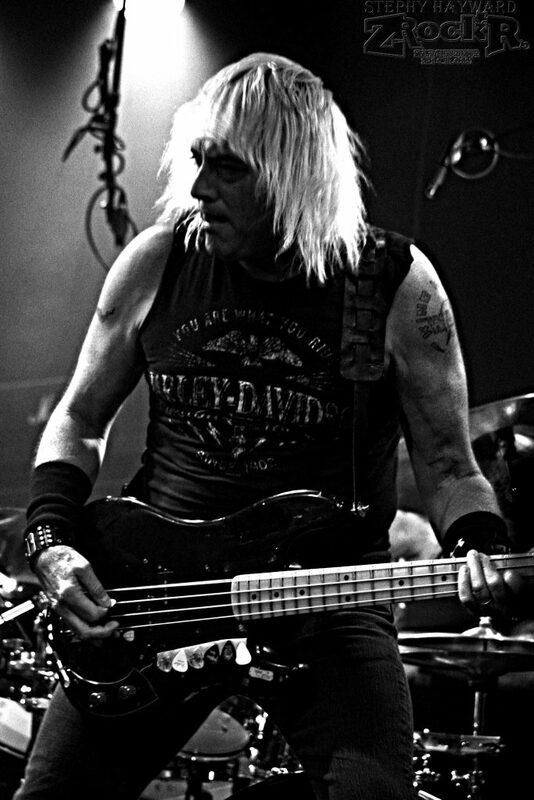 The lineup changed drastically following the second record; Sweda left with replacement members Marq Torien and Lonnie Vencent to form Bulletboys. Following a third album, King Kobra quietly slipped off the radar and was largely forgotten. After the group’s collapse, Appice joined John Sykes and Tony Franklin in Blue Murder. Fast forward two decades. King Kobra returns! With new vocalist Paul Shortino (Rough Cutt, Quiet Riot), the group recorded and released two new albums, King Kobra and King Kobra II, both receiving solid reviews across the board. Following their release, the band more or less went on hiatus again, but more recently announced some show dates. This appearance at Vamp’d is one of only about four shows the group is doing, and the only one in the United States. With so much talent on deck, it is a shame there are not more King Kobra shows, but this is difficult with so much of the band having other commitments. These tour dates feature Shortino, Appice, Rod, Henzerling, and new guitarist Jordan Ziff; Mick Sweda is not participating in said tour. 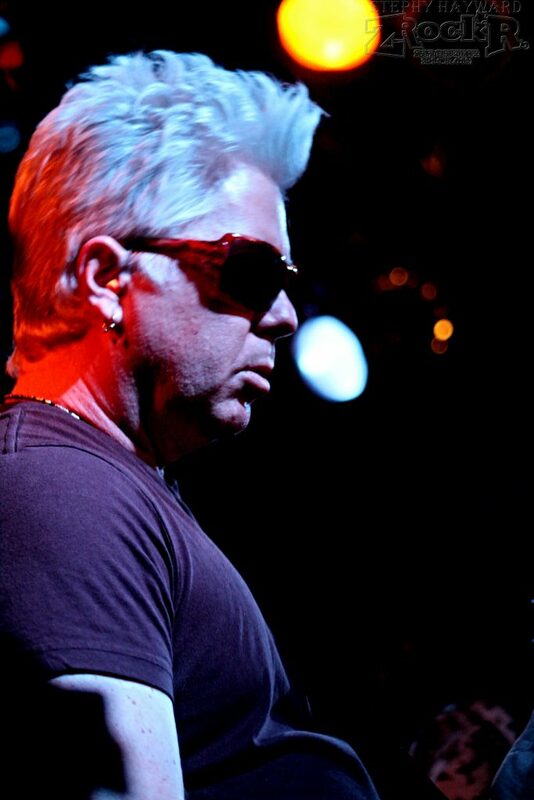 This marks the first appearance of the band at Vamp’d since their “Have a Good Time” video shoot in September 2012. Of course, like the good majority of shows held at Vamp’d, this one featured an opening/support band. In this case we got California’s Diamond Lane, on the last date of a recent tour of theirs. This was my first time seeing the group, and I was surprised by what they brought to the table. The band has a heavy, fast and aggressive sound all their own, clearly influenced by rockers of the past but with a more modern take on things. With dueling lead guitar solos and a stage presence that was undeniable, there is no doubt that I will be keeping my eye on these guys for any subsequent returns to Vegas! I was curious to see how well King Kobra would deliver in their show; after all the group had not done a proper concert in nearly a quarter century, unless the aforementioned music video shoot is counted. 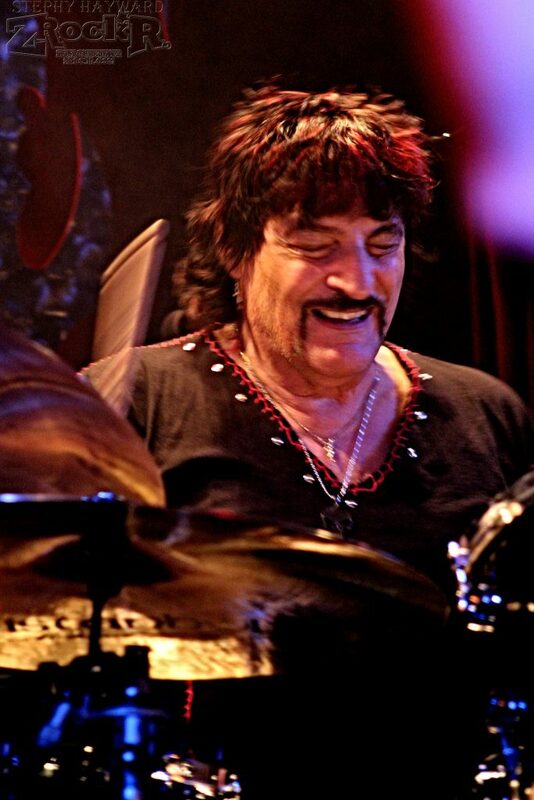 Carmine Appice keeps himself occupied with a number of other projects these days, not the least of which are the Drum Wars shows he does with his brother Vinny. 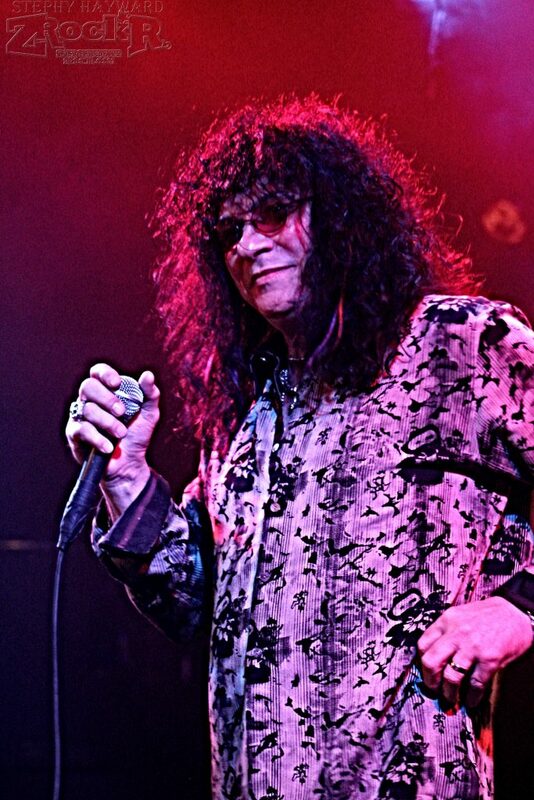 Likewise, Paul Shortino keeps busy as one of the vocalists out here in Vegas in Raiding the Rock Vault. King Kobra has the three albums they released in the 1980s, as well as the two “revival” albums that came out with Shortino singing a few years back. This made it all the more interesting to anticipate what their set would be comprised of. Mostly old songs or new ones? I am pleased to announce that not only did King Kobra give us a nice mix of new and old songs alike, but they also flowed together perfectly. We even got a few unexpected surprises throughout the evening, which made things all the more interesting and fresh for the audiences. Note that many of the 80s King Kobra songs included keyboard parts in the studio, though the live band here did not have a keyboard player. Although, in many regards, this is a strength; it actually helps do away with some of the more “pop” elements in the band’s more commercial recordings, giving them a heavier sound of sorts. The setlist included 80s gems from the band like "Ready to Strike," “Hunger,” “Shadow Rider,” and “Iron Eagle (Never Say Die),” with some of the best tracks from the new albums, including “Turn Up the Good Times,” “Tear Down the Walls,” “Have a Good Time,” “The Ballad of Johnny Rod,” and “Live Forever.” Some unexpected surprises came from the group in the form of Paul Shortino doing a “Heaven and Hell” tribute to Ronnie James Dio, Henzerling and Ziff shelling out dueling guitars covering the solo from Deep Purple’s “Highway Star,” and even Johnny Rod handling lead vocals on a brief cover of a song he performed live with WASP back in the day, “Wild Child.” His Blackie Lawless impersonation was flawless! There are a few minor uncomfortable moments in the show, but they were so minor and the group is so good as performing on the live stage, I find it unlikely most people noticed at all. It would have been nice to hear “We Got a Fever” and “Hell on Wheels” from the new albums performed live, but again, minor personal nitpicks and nothing more. How was the actual performance itself? These guys do not disappoint. They had some big shoes to fill and a lot to learn given that they had not done a concert proper in years, not to mention Jordan Ziff was the new kid on the block, so to speak. Shortino’s vocal style suits these songs, old and new alike, very well. He does not copy Mark Free’s singing style on the older songs, and this fan feels personally that it is the better move; it allows him to put his own spin on these classics while at the same time staying true to the originals. Carmine Appice got a chance to shine in more than a few moments throughout the show, not the least of which being his epic drum solo. 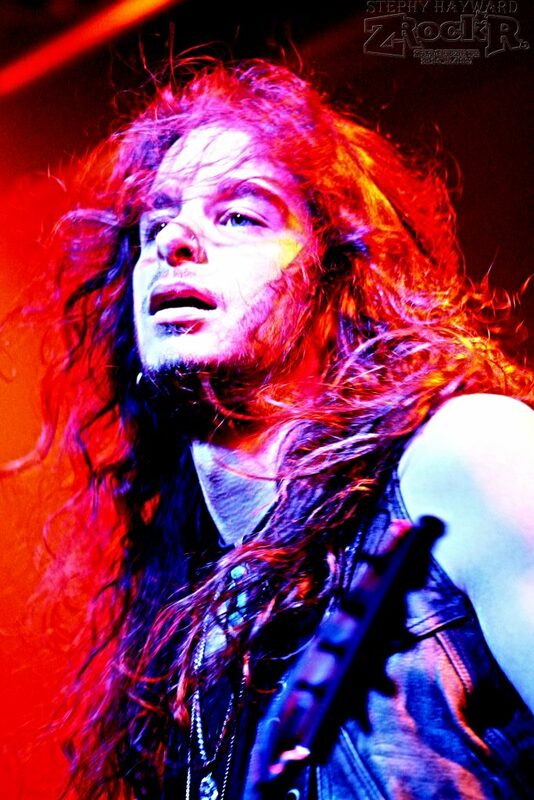 But the real stand out performer of the evening is a man that is truly an unsung hero in the rock/metal world – Johnny Rod. Though he was better known for his role in WASP, this guy knows how to rock the audience. Despite pushing 60, he rarely stayed in one place on he stage long, jumping back and forth from one end to the other, taking his place front and center to shell out fast, aggressive bass solos that would make even the most seasoned of players piss themselves. Let us hope that this return of King Kobra is permanent, and will spawn more tour dates, albums, and maybe even a live audio/video release. The quintet thoroughly rocked this audience; it is a shame that there are no other American shows on the calendar for the time being. Overall, anyone who attended this particular show will agree it was one of the year’s best; the opening set from Diamond Lane was only further icing on the cake. Keep an eye on King Kobra and hope for a lasting, permanent reunion with more activity on the horizon! 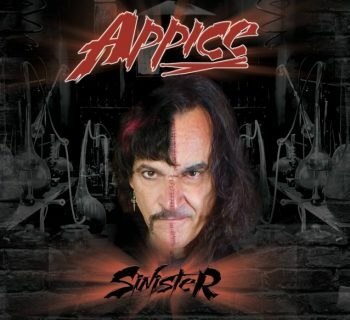 Appice - Vinny and Carmine Unite With an Ensemble Cast of Musicians for Sinister, a New Album of Original Recordings!